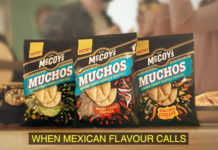 Following the incredible success of Old El Paso Gluten Free Fajita kits and Gluten Free Tortillas, the UK’s leading Mexican cuisine brand has extended its Free From portfolio with new Gluten Free Enchilada kit. Available now, the new Gluten Free Enchilada Kit (RRP £4.49) contains eight white corn tortillas, alongside a Gluten Free cooking sauce and topping, and carries the Crossed-Grain symbol – the internationally recognised Gluten Free product certification stamp. Demand for Gluten Free (GF) has exploded in recent years, with 26% of shoppers buying coeliac-friendly food. 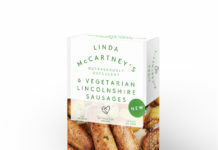 Old El Paso has capitalised on this demand with its Gluten Free range – introduced only a year ago, it’s already worth £1.5million. Lionel Morgado, brand manager, Old El Paso, says: “At Old El Paso, our goal is to bring people together in sharing moments. We want to ensure our high-quality, super tasty Mexican meals can be enjoyed by everyone. We had several requests from consumers via social media for their second favourite meal centre to become Gluten Free, and the Enchilada Kits are the second best seller after our classic Fajita offering, so it was a no brainer to expand into this kit. The amplified marketing support will work alongside a highly targeted media plan tailored to gluten-free consumers and shoppers, including Video on Demand, social media, specialised influencer outreach and in-store activity. 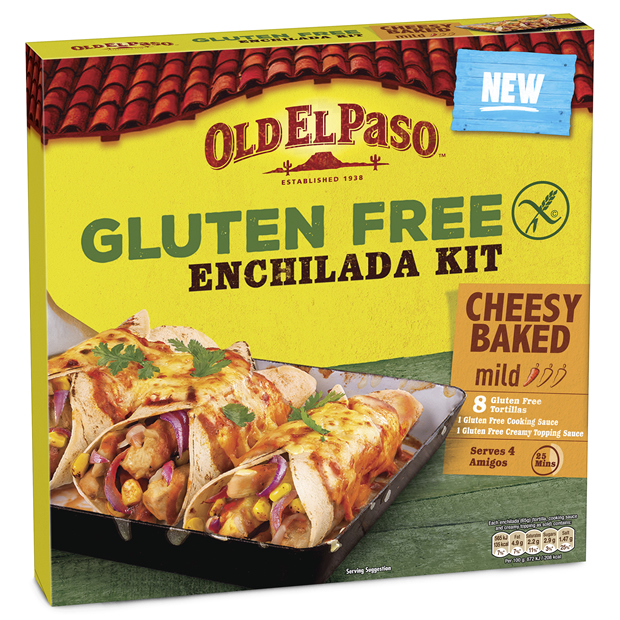 Old El Paso Gluten Free Enchilada Kit is available now in Asda. RRP £4.49.